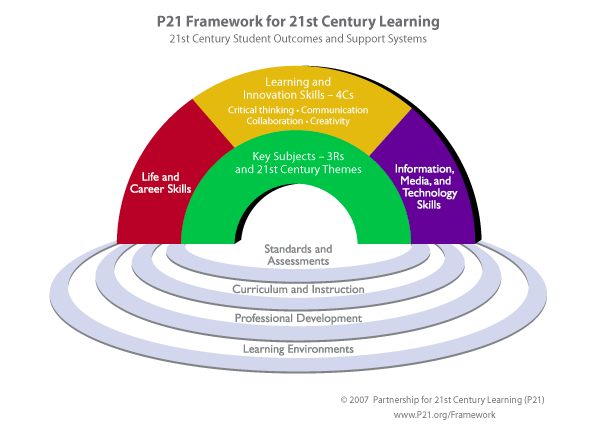 P21, the Partnership for 21st Century Learning, has developed a Framework "to define and illustrate the skills and knowledge students need to succeed in work, life, and citizenship, as well as the support systems necessary for 21st century learning outcomes." These are lofty goals that all educators should be striving for with all of our students. However, it is unfair to expect students to meet the challenges of 21st century learning unprepared. When late starting students are pushed into first grade instead of being allowed into kindergarten, they miss out on the strong academic and social foundation kindergarten provides. This makes it less likely for these students to be successful in school and beyond.